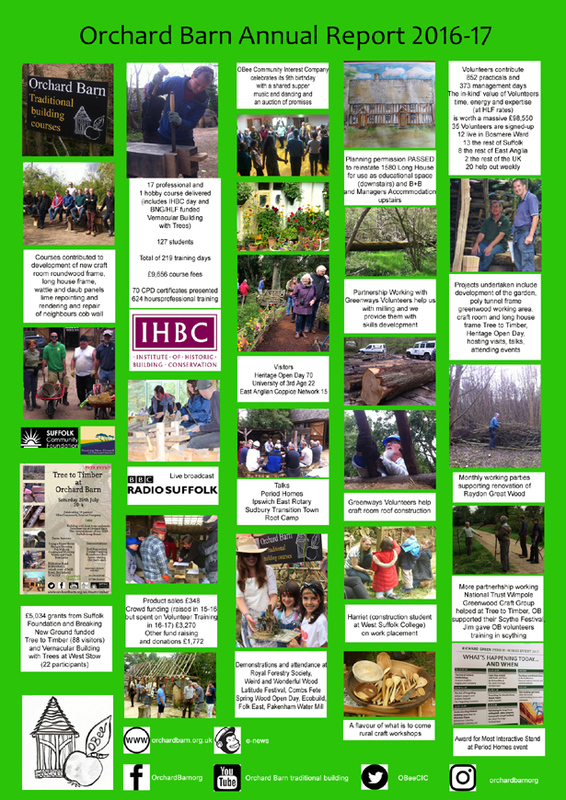 As a Community Interest Company we produce an annual report which is verified by Members at our AGM. The report is based on our social, environmental and heritage outcomes. Funding from Breaking New Ground enabled the delivery of free training at West Stow Anglo Saxon Village with live broadcast on Radio Suffolk! Out and about at Ecobuild, Spring Wood Open Day, Weird and Wonderful Wood, Combs Fete, Latitude Festival, Folk East, Period Homes and Pakenham Water Mill.